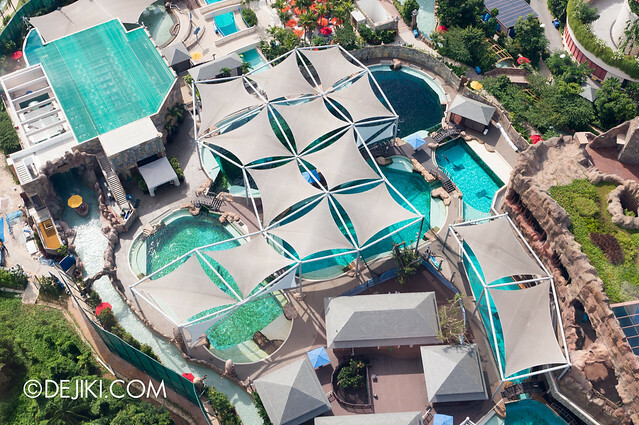 The most visible change: The pools of Dolphin Island are now filled with vegetation. The darkest pool is the habitat shown in S.E.A. Aquarium. 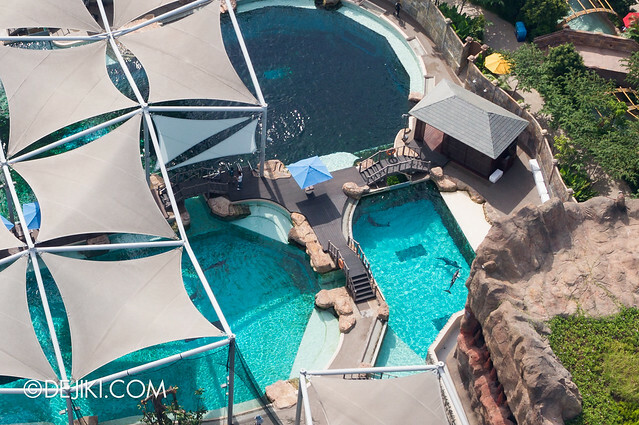 The dolphins are separated into pools, with about 3-5 dolphins spotted in each pool. As for the other parts of the park, there is nothing outstanding to report. Except… well, Riptide Rocket has a 10-minute wait just mere minutes after the park has opened. 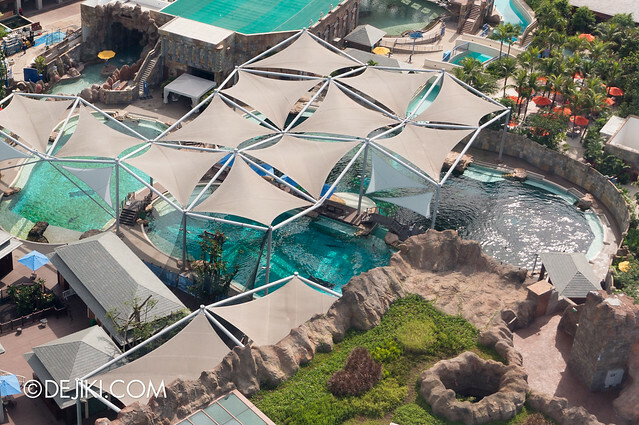 On the right side of this image, we could see that vertical panels (white) have been recently added to the sunshade (with now-grey shades) structure – most likely to block out the noise from that section of Splashworks. There is that rope climbing activity (complete with a loud bell to ring at the top). That’s about it for this short update. 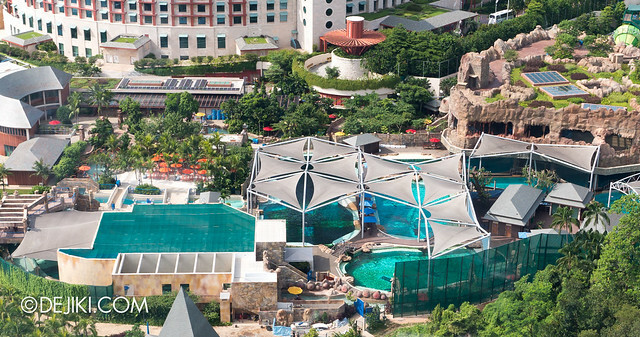 The next Marine Life Park entry will be an update on Adventure Cove Waterpark. Stay tuned! Thanks for the update. 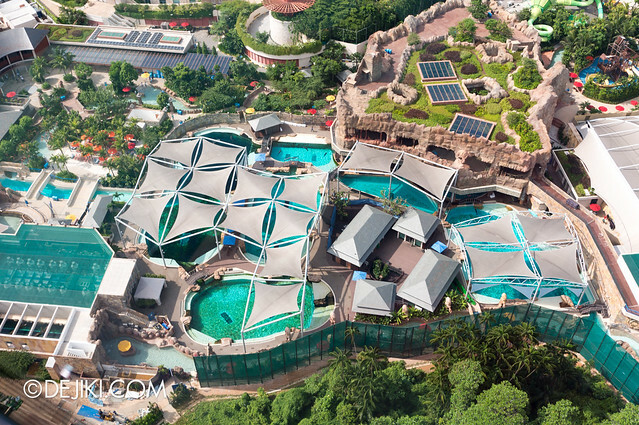 I still can’t make out all 11 pools… Do you know how many are inside the grotto? They really should’ve made larger SEAA viewing windows for Dolphin Island. It’s always so crowded! And while the algae is supposedly good for the dolphins the bits of green floating in the water really isn’t very appealing. 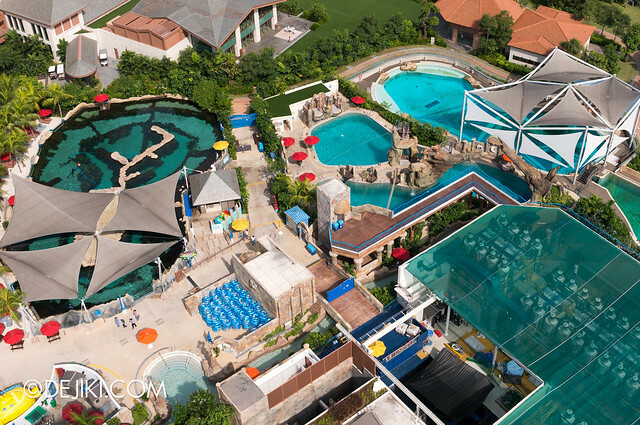 The second photo in this entry shows six pools. Hidden within the grotto are two circular pools (you can actually see parts of it in the first photo). 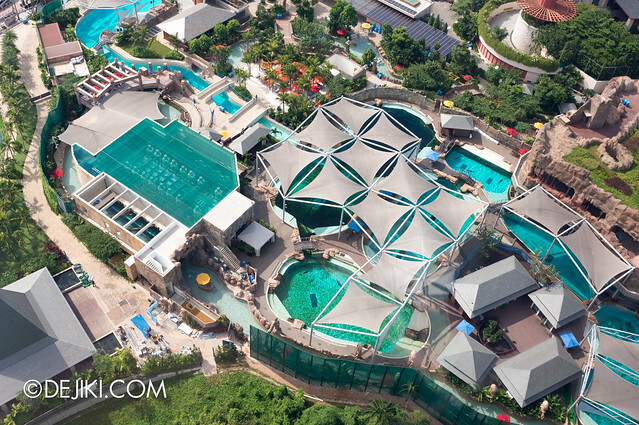 At the top left corner of the the third photo, there is another pool (beside the entrance/exit area of the park) which is unused at the moment. That brings the count to 9. The last two pools can be seen in the third-last photo of this entry. 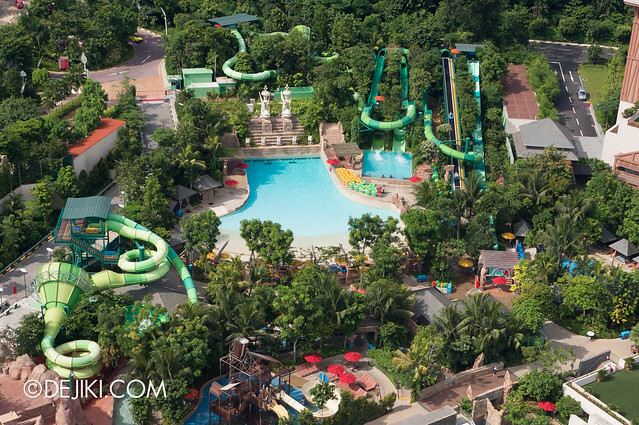 It’s at the bottom right corner, the long swiggly channel that links to Pool #11 (right beside Splashworks of Adventure Cove Waterpark). 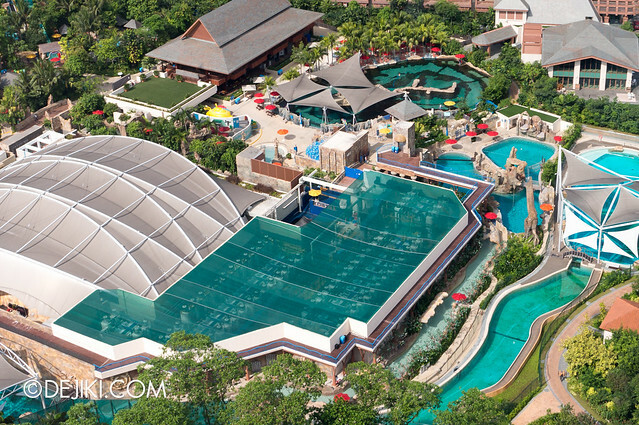 I’ll try to get a layout map up for the next entry, which will have some (hopefully interesting) photos of dolphins from Adventure Cove Waterpark.